Since doing my first workshop with Lynn Holland in the Summer I loved it so much I wanted to do more. Lynn has been so kind and together we are doing another two workshops in Rochdale this coming Saturday 3rd November and the following Saturday 10th. It has been smooth sailing so far but apart from getting all the materials, designing a plan and then teaching on the day, Lynn has done most of the hard work getting people signed up for them and providing the venue. To be honest I never really thought much about the advertising and promotion of the workshops and have been more concerned with the content and the quality of the actual day……until now. I am now branching out on my own into unknown territory! Since moving out of Manchester I have had ideas to start workshops in my local area (Wilmslow, Alderley Edge and Knutsford) and so I began to make my ideas a reality. 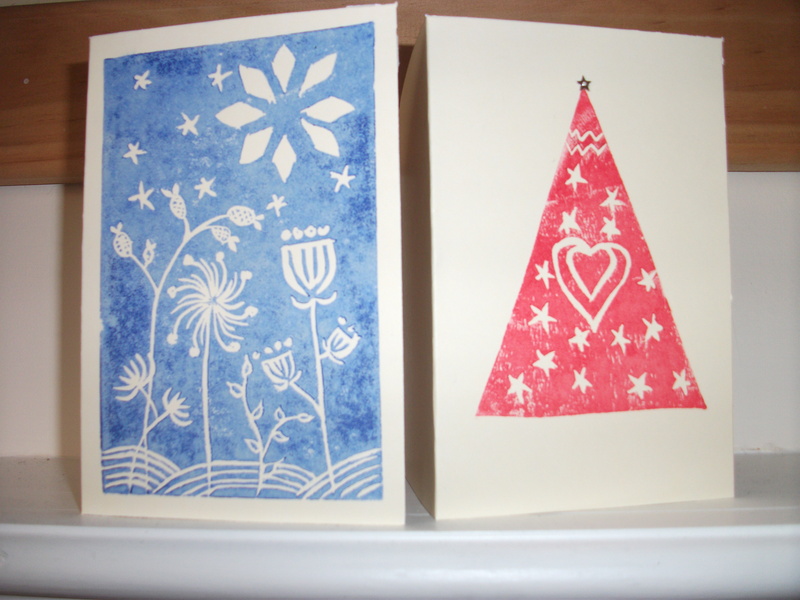 Since it is coming up to Christmas, I thought it would be perfect to have a festive themed workshop so I have decided on Print your own Christmas cards; idea one done. Next, where to host this workshop? I have spent a considerable amount of time trawling on the internet looking at village halls, leisure centres, church halls and school halls amongst others, making lists, comparing prices, hall size, facilities and availability. 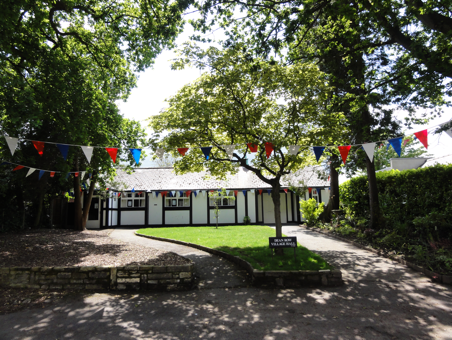 Eventually I found Dean Row Village hall in Wilmslow http://www.drvh.co.uk/ which looked perfect. I then organised to view the hall to make sure that it would be suitable and after a short correspondence I went last Friday to meet Julia Dean who kindly showed me around. It is a lovely venue, with nice bright rooms so that it will show up printing colours which is important and it has good tea and coffee facilities, a must for any workshop. I then went home and got out my diary and picked days when I was free and then looked at Dean Row’s booking schedule. It is a very popular venue as I found out and so I was rather limited to days and times that I could book. It was quite time consuming cross referencing diaries and booking forms but eventually I booked three initial dates. I would love to do more but I thought, start with a small amount and see how it goes. Workshop decided, venue booked, dates booked, now to advertise and get people signed up. This is where I have my downfall, I am quite a shy person and the idea of getting out there and talking to people to promote is pretty scary to me, I just don’t like bothering people. My lovely husband has been so supportive and he just gave me a bit of a talking to and basically said if you go out and try as hard as you can, even if you fail (which you won’t), how much better will you feel than if you didn’t try at all? Positive head on, I decided to create a flyer on my computer and print it out myself to save money. It took a while to decide on what to put in and what to leave out but I am happy with the outcome. I feel it is inviting and just enough information. Then it was a question of how to get it out there. I actually tried googling (it always has an answer), how to flyer, but nothing really came up that was useful. I just wanted a few pointers of good places to start. Today I decided to head into Wilmslow and go around shops and different places to see if they would take some flyers or put them up. I started with the library as I thought it is a place where people to go to find out local information. They had an information folder that I could put a flyer in that showed local events so I was off to a good, positive start. I tried a couple of larger shops who were nice but said they couldn’t promote anything that charged, just charities. I did ask if they knew of anywhere I could try and I ended up at a little newsagent, Cards & Candy on Water Street who, for a small fee, will put your advert or flyer in their window. I then went to a few sandwich places and coffee shops and even a stationary shop where I left a few flyers. To be honest I didn’t really know what I was doing but I just stayed confident and asked people nicely, and if they couldn’t help they were always very helpful with telling me places I could try. I ended up walking around for a good few hours and I actually ended up quite enjoying myself, meeting and talking to lots of people. Having only just moved to the area it definitely got me more familiar with the town which was a bonus. Meeting other creative people I have found that the promotional side of craft and art business is quite often the most difficult part. If you are like me, you are at your happiest lost in your own head designing and creating new pieces and items. 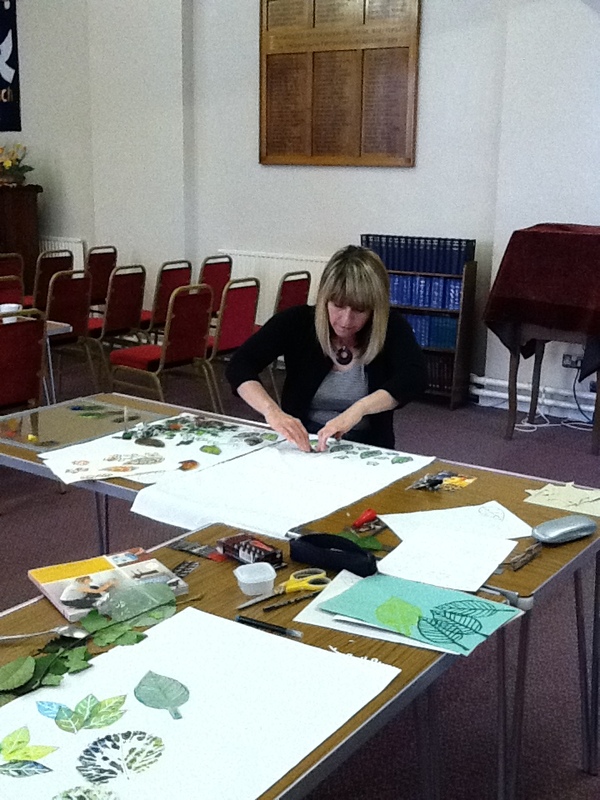 Sometimes hours can go by without me realising, all because I have found a great leaf that has inspired a new design. I need to get better at getting out there and getting myself known as I know that no one is just going to stumble upon my work. I have to work hard and actually treat it like a job. It is definitely a very steep learning curve but I am getting there, I am even about to attend my first WI meeting so watch this space. Does anybody have any stories about promoting their art/ craft work? I would love to hear from you about your experiences. 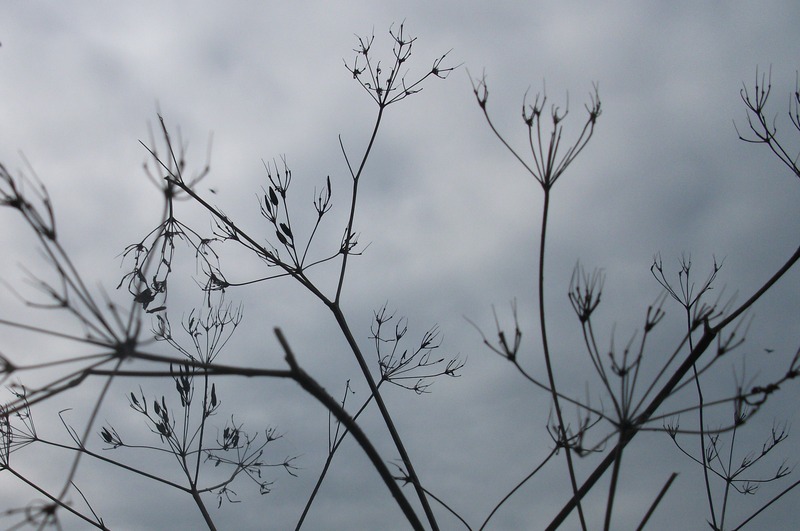 As you may have noticed by blogs have been rather lacking as of late. It has been a pretty busy couple of months. Firstly, my husband and I have moved house. We have been talking about moving for about 2 years now, getting out of the city and moving further into the country and finally at the end of September we did. You really do not realise how much stuff you have until you have to fill up what feels like a million boxes and then cart then one by one down 6 flights of stairs (we were on the 3rd floor with no lift). We even did a car boot sale and made quite a bit of money to help with the move. It was pretty exhausting but we gave ourselves a week and then on the 29th of September we officially moved. Now I can’t imagine living anywhere else. We have moved to Styal Estate in Cheshire. http://www.nationaltrust.org.uk/quarry-bank-mill/ Looking at my previous blogs I realise I look a little obsessed with The national Trust, well that isn’t going to change anytime soon as now we live on one of their estates and rent our pretty little cottage off them! It is amazing contrast to where we lived previously above a 24hr garage, on the main Manchester to Liverpool road and on the route to Hope Hospital, now we are surrounded by trees, have a view of a thatched cottage from our bedroom and it is black as pitch at night, prefect. 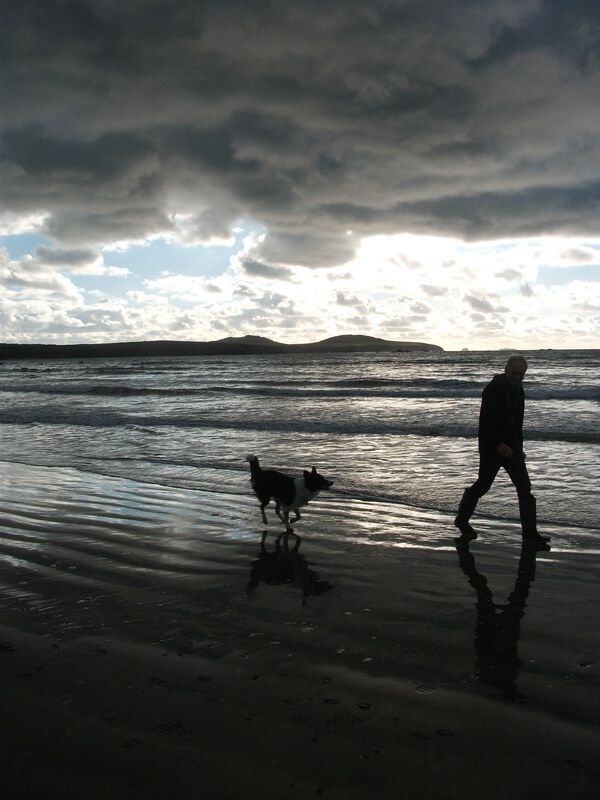 Not long after we moved I went away with my family to Pembrokeshire in Wales. I haven’t been on holiday with my parents and sister for about 19 years, the last being a trip to Norfolk when I was 9 and this time it happened to be over my birthday so perfect! 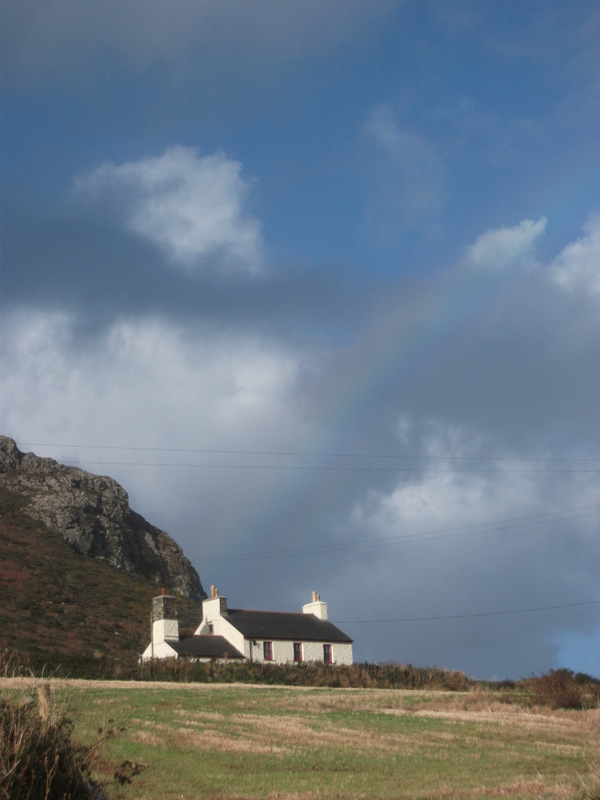 We rented a beautiful cottage right next to Whitesands Bay on St Davids Head. It was so peaceful, I wanted to stay forever. 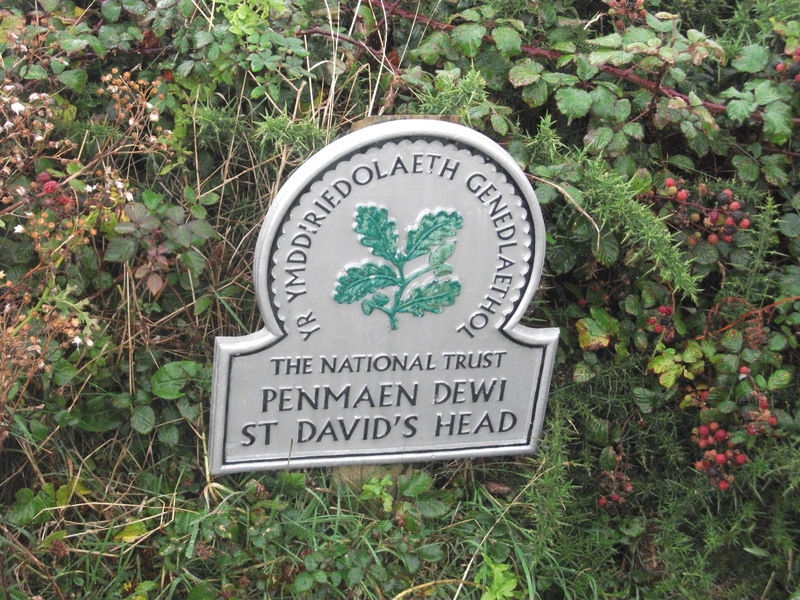 St Davids Head just happens to be? 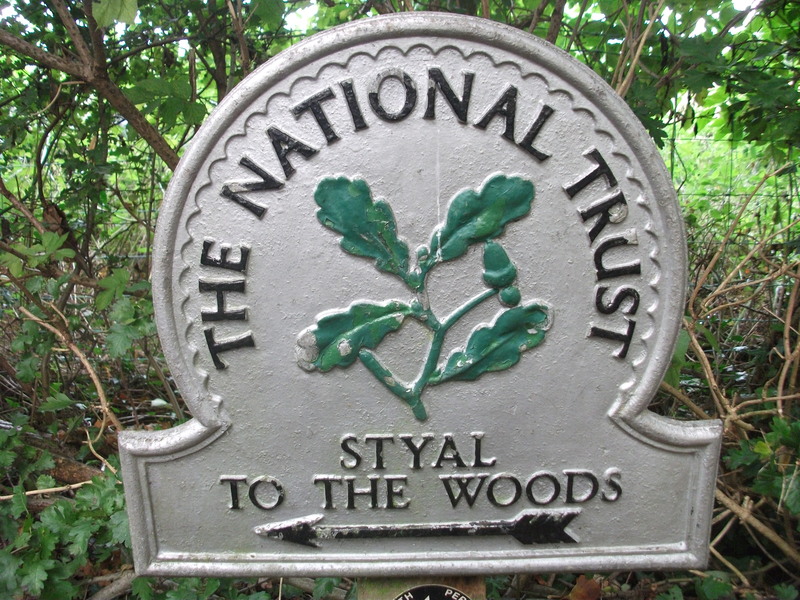 ……..yes part of The National Trust! I just can’t help myself. 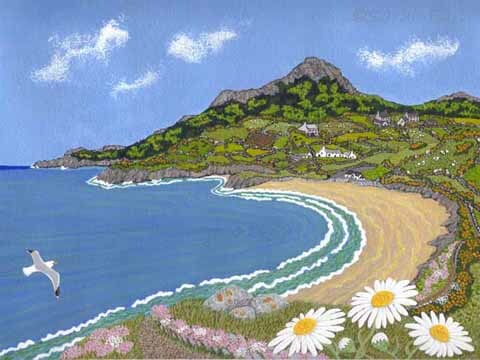 It is such a beautiful piece of coastline, I think it rivals coastlines across the world for beauty, rain or shine. We also went to Pembroke Castle where Henry VII was born, it is a great place to visit and the pretty sea side town of Tenby. Tenby was my mums choice. She received a postcard when she was 8 years old from a school friend who stayed there and she always wanted to go and now about 50 years later we all went. We went for a lovely walk around Stackpole Estate, National Trust again I’m afraid. http://www.nationaltrust.org.uk/stackpole/ It is gorgeous, especially at the moment in Autumn with all the colourful leaves, I think it was one of my favorite places we visited. Emma and I were lagging behind for most of the walk, taking photos. I have a little obsession with seeds, berries and dead plants at the moment so I was quite often found in odd positions crouching in the bushes! Every where you looked was another picture postcard view. There are about 30miles of paths, we walked around the lily ponds (Bosherston Lakes) and down to Broadhaven South, a beautiful beach at the tip of the lakes. I definitely want to come back and walk around more. Now I am back I need to get on with creating and blogging more regularly. I will be starting new printing workshops in the local areas of Wilmslow, Alderley Edge and Knustford in time for Christmas as well as creating more hand printed and embroidered items in my shops, I will keep you all posted.